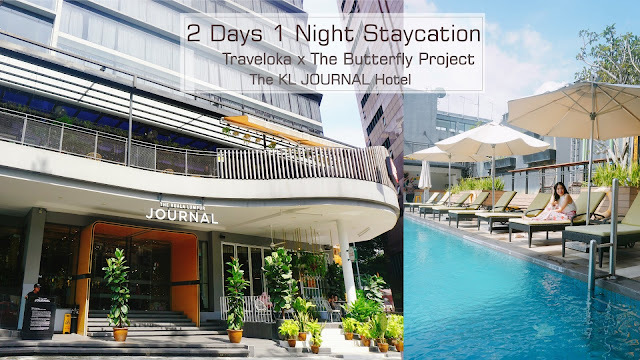 Before 2017 ends, The Butterfly Project have our first ever staycation with the butterflies at The KL Journal Hotel. Thanks to Traveloka for this wonderful opportunity for us to able to enjoy this short staycation before 2017 ends. This is a really great experience for us butterflies to gathering and has fun together among our communities! 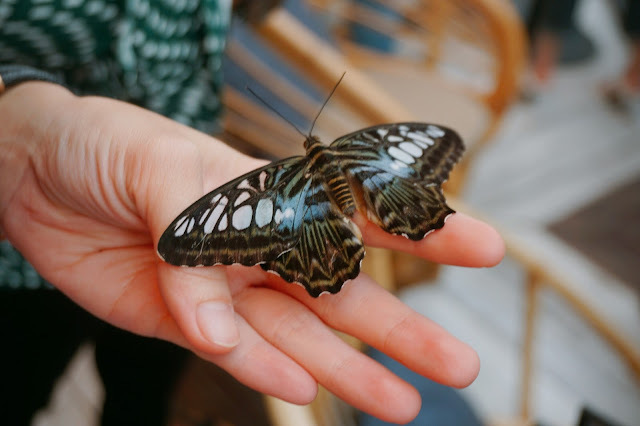 I would say this staycation is another level up of our journey with The Butterfly Project. 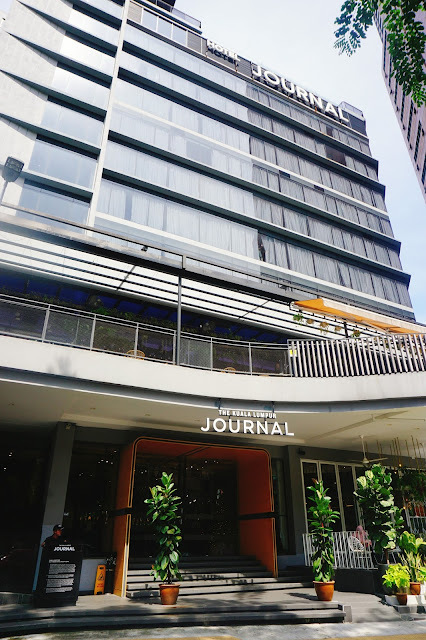 During our stay, we are staying at the KL Journal Hotel located at the center of KL. 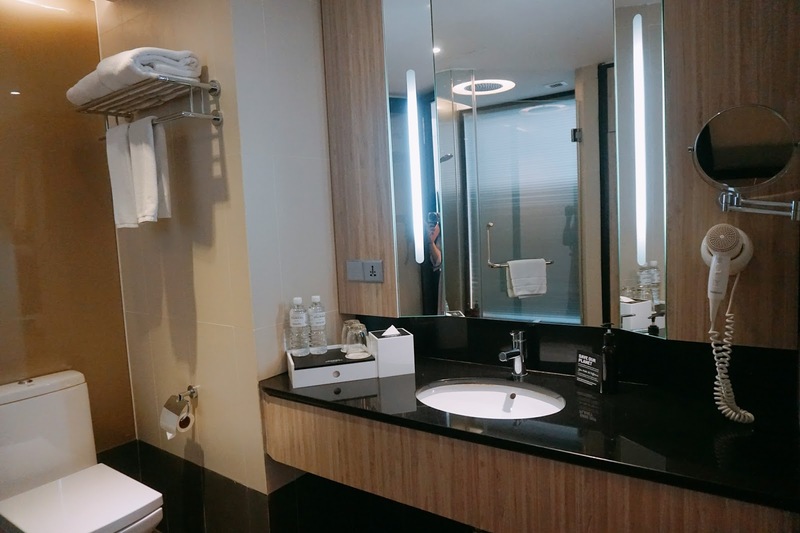 Within walking distance, you can walk to Bukit Bintang and Pavilion area, also it was really convenient where there's monorail for you to travel to some tourist spots too! The Kuala Lumpur Journal is a stylish boutique hotel in KL city center. Designed with an inviting relaxed vibe where nostalgia meets industrial chic, we're centrally located in the city's main shopping and entertainment district of Bukit Bintang. Just minutes away from Changkat neighborhood - the hub of KL nightlife with its thriving bar culture and Kl's foodie mecca, Jalan Alor. Kl Journal not only delivers on the essentials but focus also on what modern day travelers really want. Comfort and functionality with smart plugged in connectivity plus FREE high-speed Wifi. 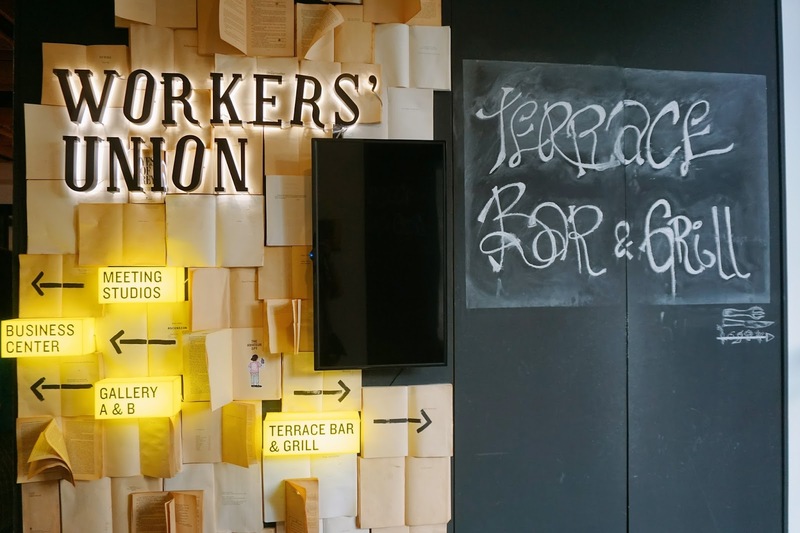 Creative communal spaces like Workers' Union designed for work and play. Kedai Kopi Journal, a local coffee shop concept serves unfussy food that's big on flavor, The Terrace Bar & Grill, a relaxed alfresco area to unwind. And a spectacular rooftop infinity pool with stunning vistas of the city and a gum. 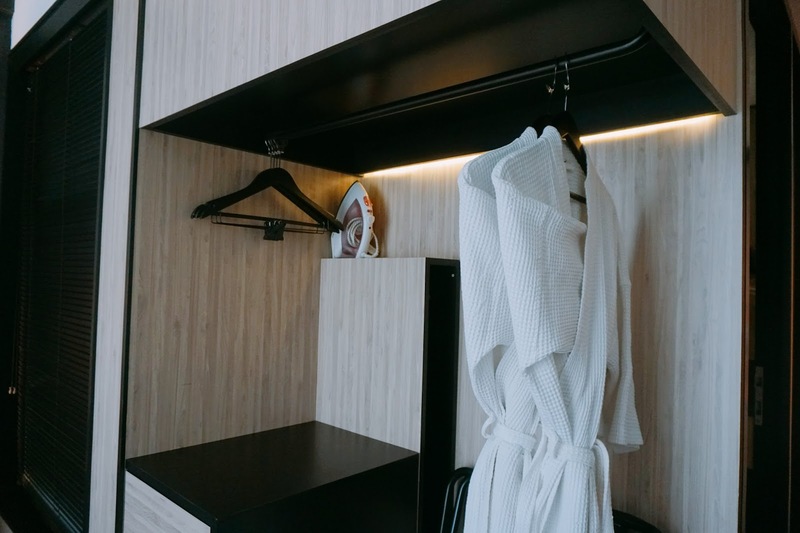 They also offer in-house parking for your peace-of-mind on a COMPLIMENTARY basis. 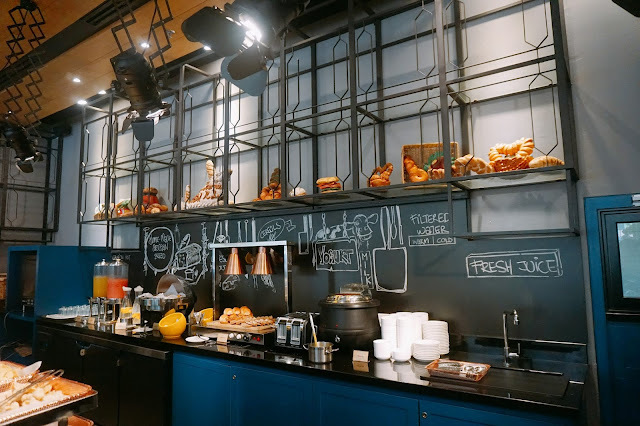 Just make sure to validate your parking ticket at the Front Office upon check out or exiting the hotel to go on a foodie trip. Their lounge and waiting area upon waiting for checking in or out. 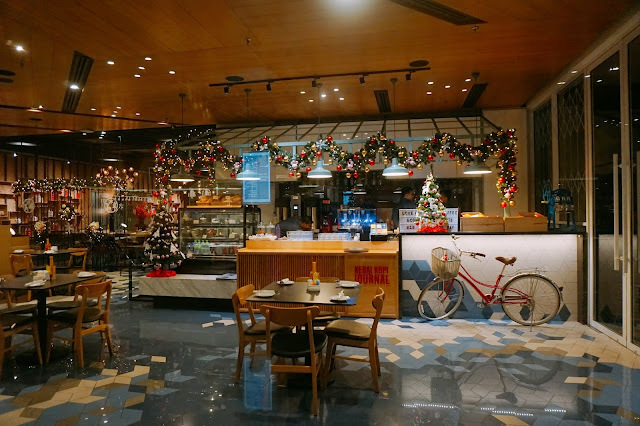 During our stay, since is near to Christmas festive season, the whole dining area is decorated with beautiful Christmas decoration. 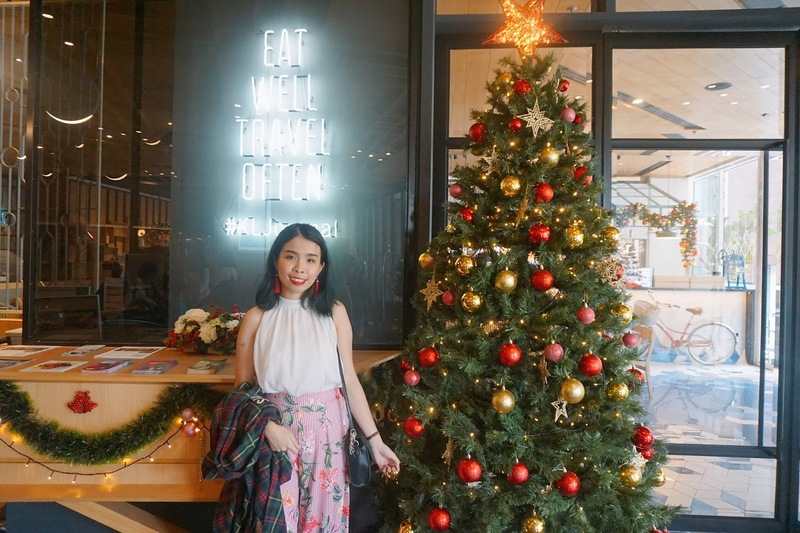 Every corner of the hotel so photos worthy, you can just grab your camera and take a lot of OOTD around this hotel! On the level 1, there's Terrace Bar & grill. 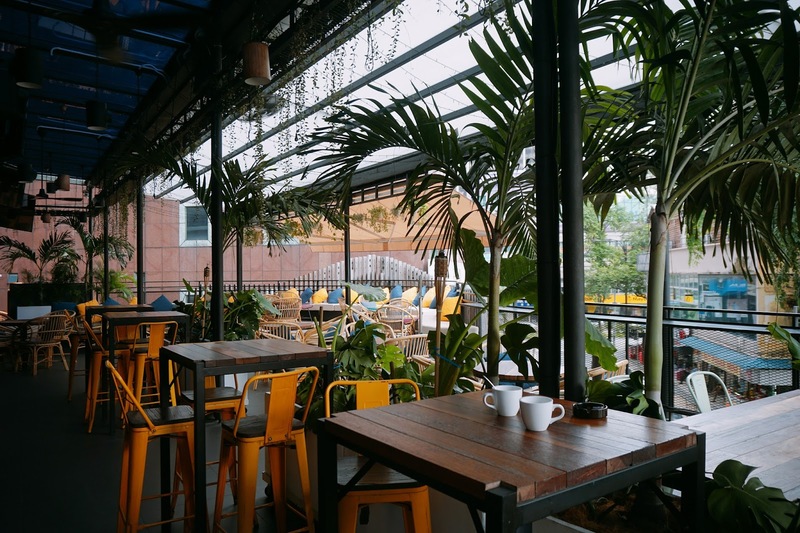 Where you can have a chill tea time with your friends outdoor. 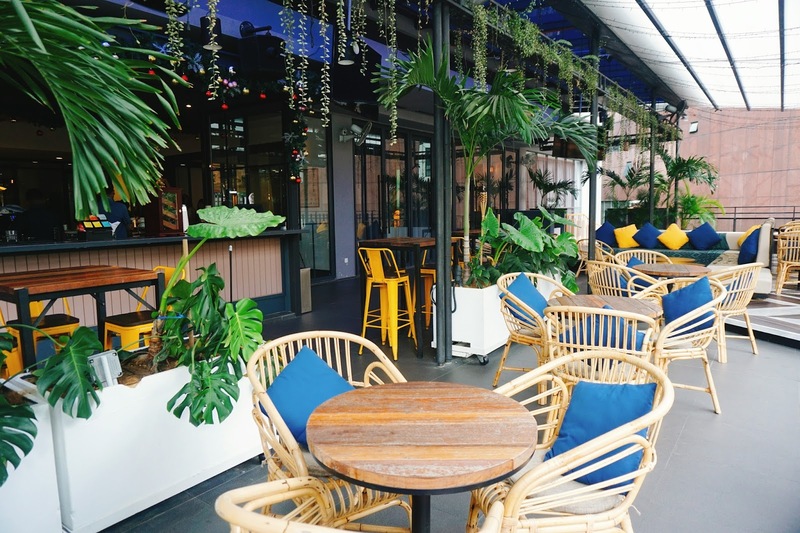 The outdoor seat is very spacious and clean. They have high chair seat and normal seating for you to choose. 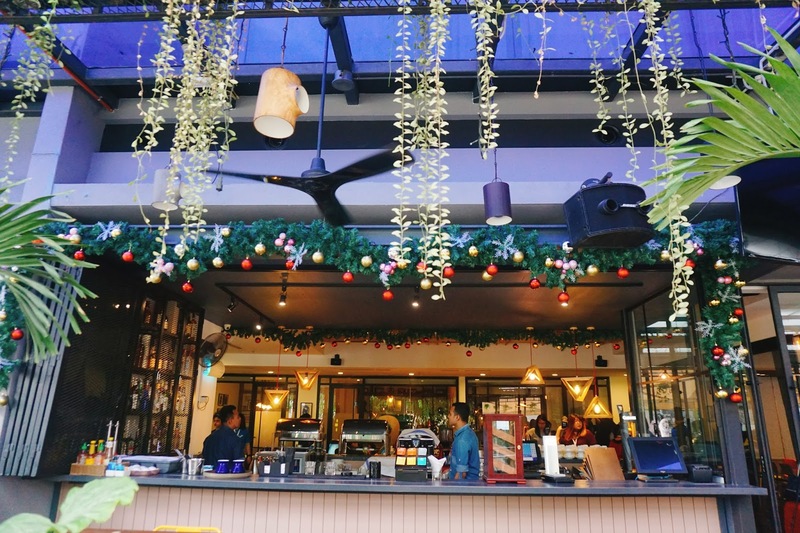 I love that it has a really pretty greenery plants at Terrace Bar & Grill. It gives very peaceful vibes. Every Night, there will be some live artist playing some music and doing some performance too. We pretty enjoyed the performance that night. We also enjoy some free cocktails too due to Ladies Night on Saturday. 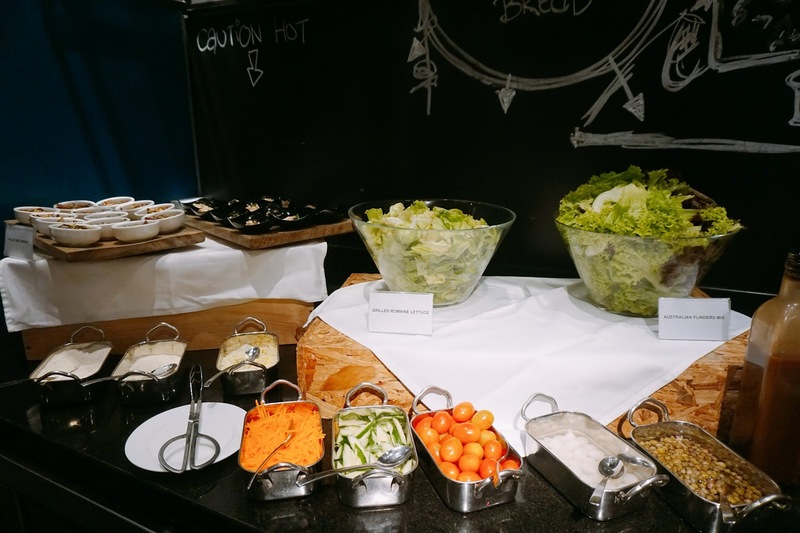 We have our lunch and dinner in their dining area on the G floor. Even the food corner is so vintage and nice to take photos too. Desserts to grab while waiting for our lunch set to serve. I order one of their signature Beef Burger. It took us quite some time to wait for it. 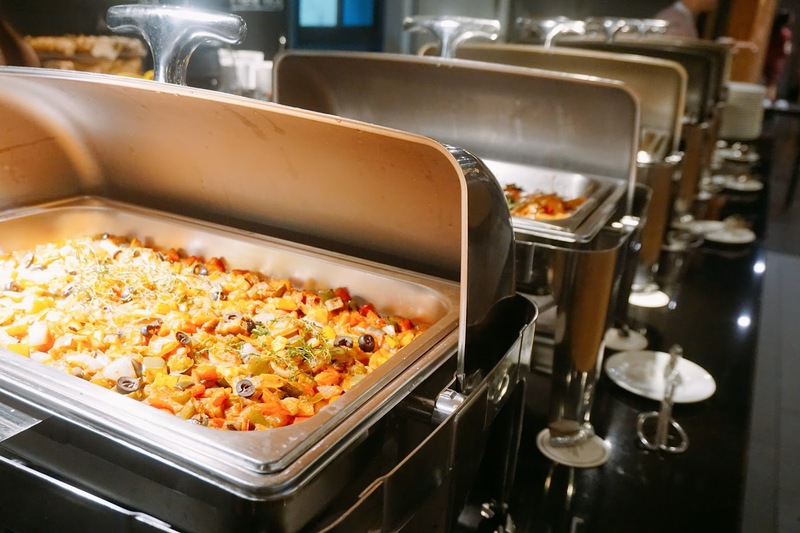 In the meantime, we grab some side dish from the buffet food counter. The burger patty is so juicy and firm. Theirs was really addicting and delicious to enjoy it! Be sure to try out when you are here since its one of their signature dish to try. 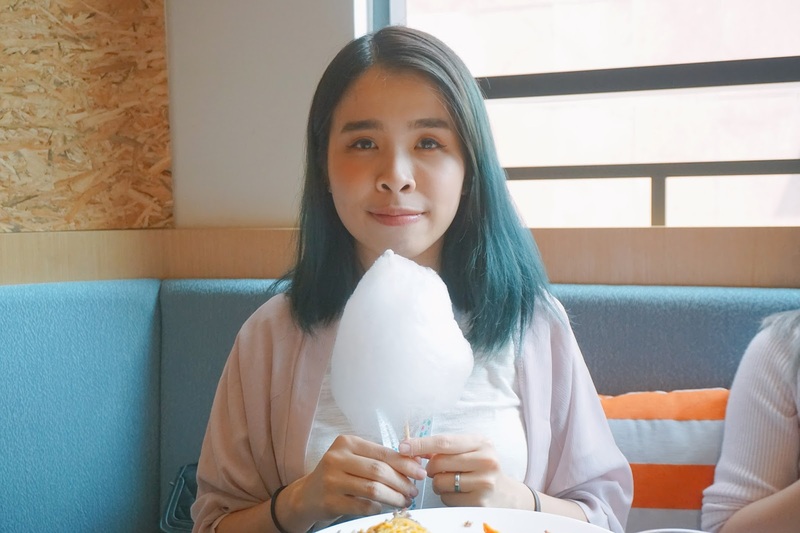 Unlike other hotels, in KL Journal they have their own cotton candy machine where you can DIY cotton candy too. It was really fun doing it too! 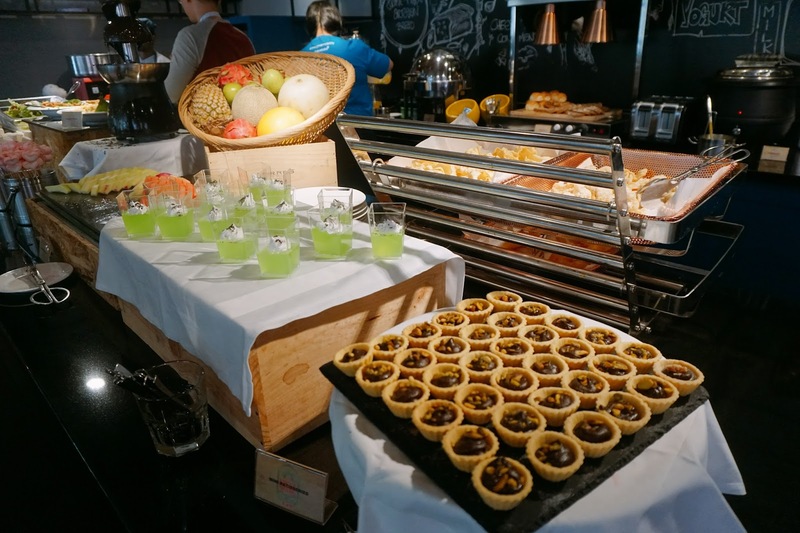 As for our dinner, we are served with their buffet serving. 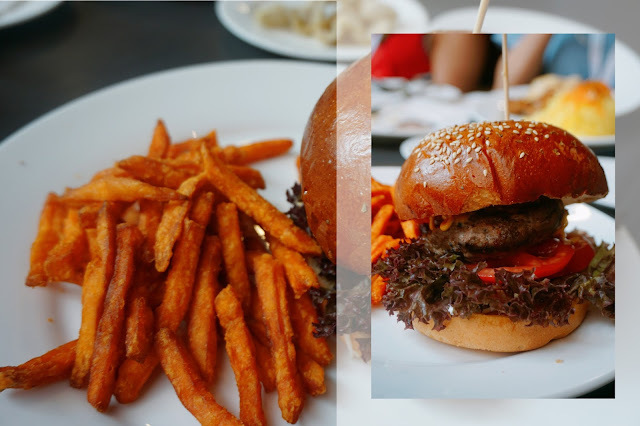 You can grab all you can and choose the food that you like too. They also serve fruit punch for you too. 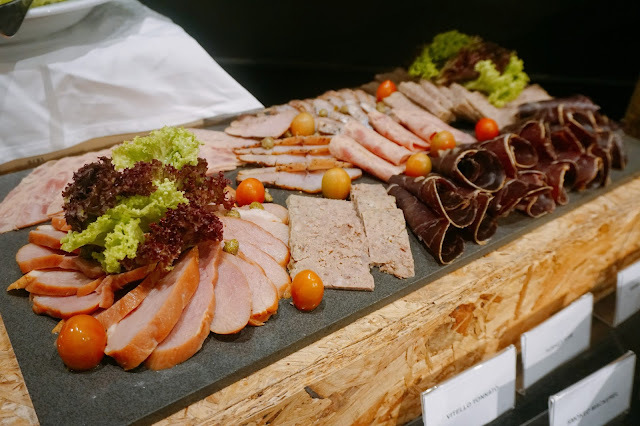 I love their meat slices and salads corner, where their salads are really fresh and sweet. 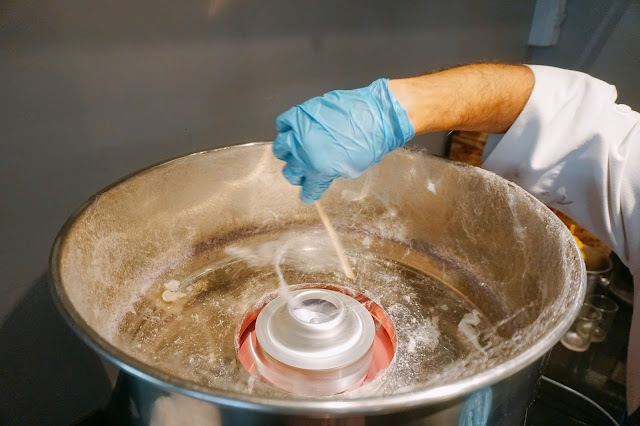 We can also mix with our favorite salad sauce too. After dinner, we have a gift exchange sessions with our roomie. 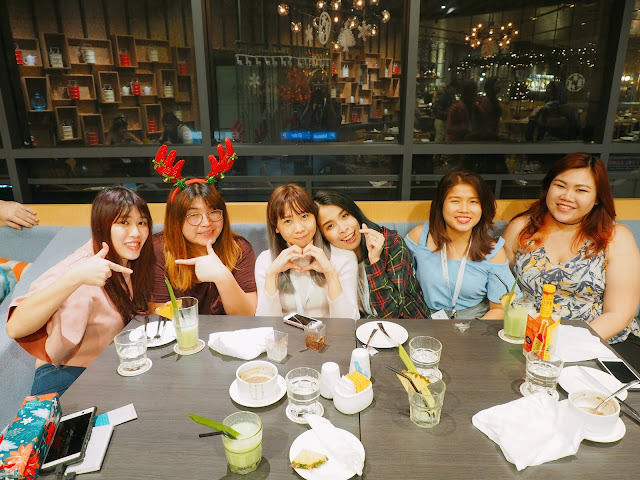 It was a really happy and exciting moment where we not only able to have our bonding time together but also prepare gifts for each other too! I love this drawer with all the toiletries we need. If you keep inside a drawer, it won't actually get wet since they are all in box packaging. They have the full toiletries that you need too! 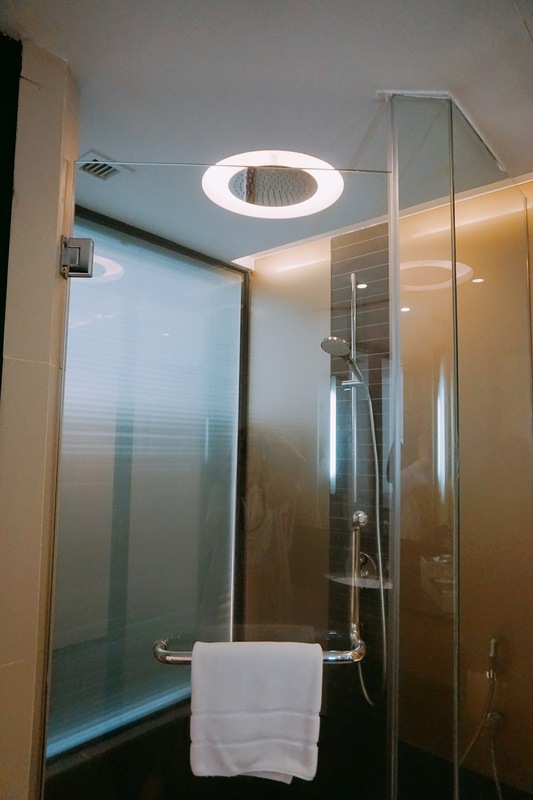 For their shower room, it not only it comes with the normal shower head. It also comes with the waterfall shower from the ceiling too. 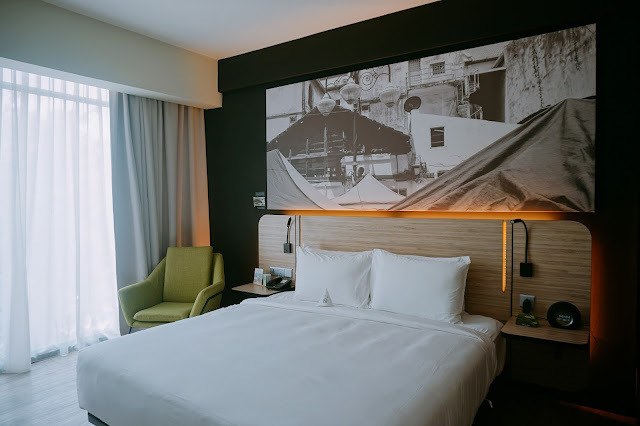 I love our wall photo in our bedroom it is captured by Che' Ahmad Azhar, an award-winning Malaysian photographer recognized internationally for his ability to capture the essence of life on the street through his camera lens. It makes the room filled with our local Malaysian culture and gives the vintage vibes of a black and white photo. Hangers, Iron, Iron board, and Bathrobe. 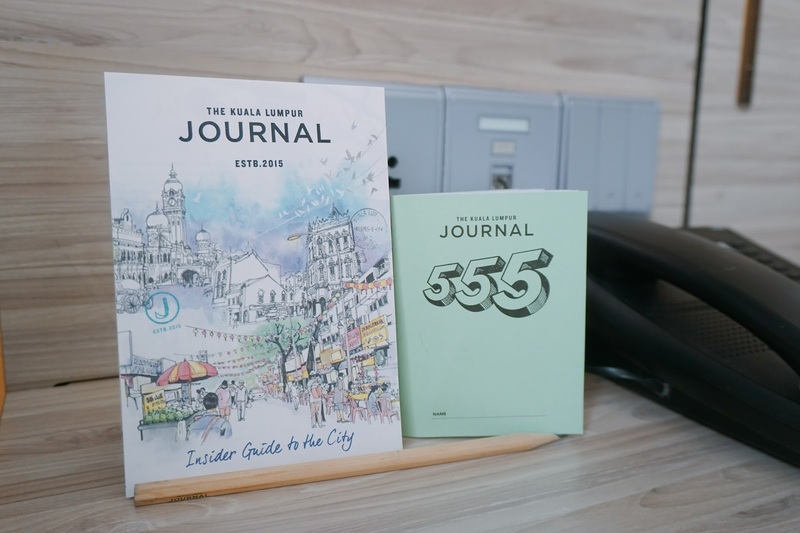 We also got a really cute 555 notebook! It is a Malaysia represent because during our school time everyone loves using this small notebook. School perfects will use this book to note down the student name. Since it was handy and mini, it can easily put into your pocket too! 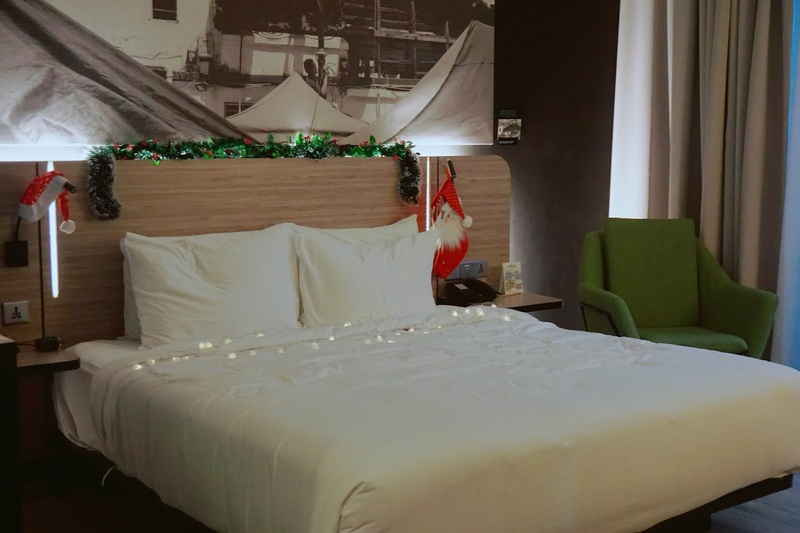 Our Crib of the night at KL Journal Hotel. 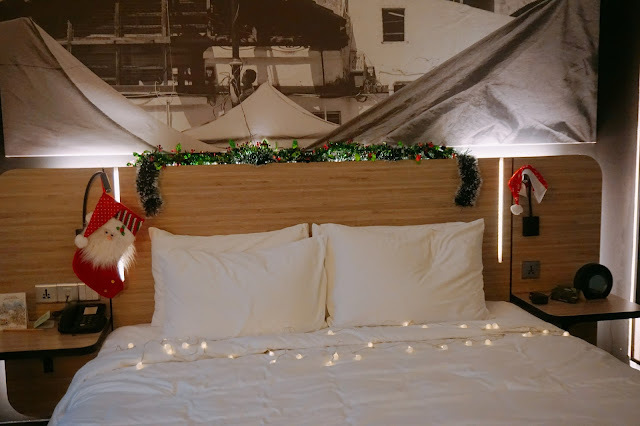 So yeah since me and roomie decide to shoot some product in this room, we even bought our Christmas Decor from home too. We did not manage to visit the gym but we are here to check out their infinity pool view at their rooftop! It was pretty sad that we are not able to see in the night due to heavy rain. Nevertheless, we are lucky because we are able to have a clear sky on the next morning. We took a bunch of photos here too! 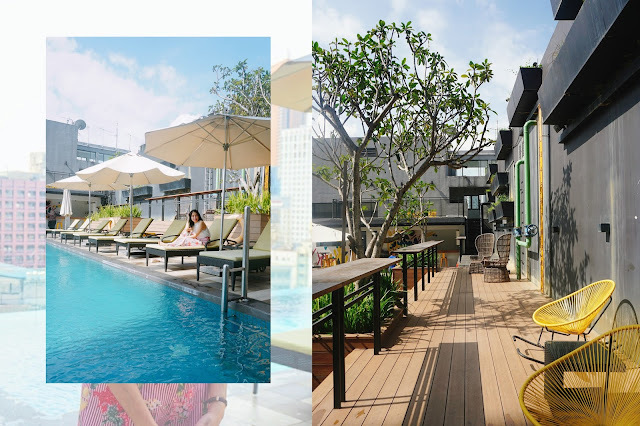 Definitely must visit the spot and enjoy a beautiful view from their rooftop infinity pool. 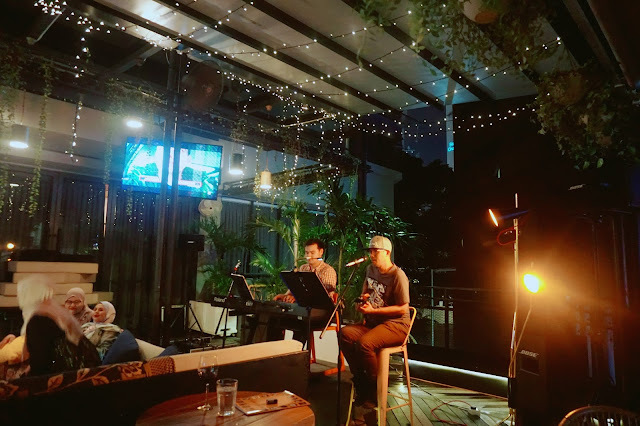 Our first collaboration with Traveloka! 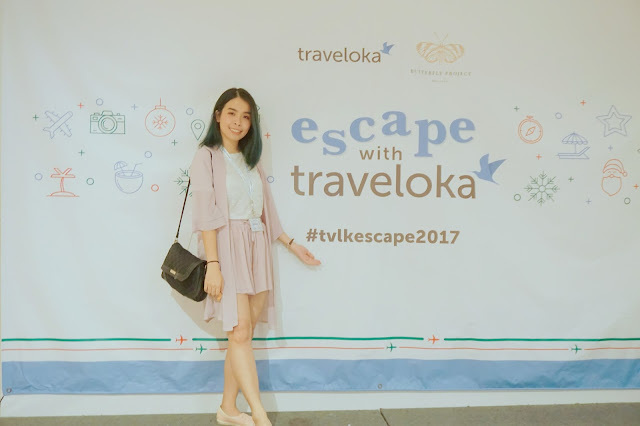 Do check out our #tvlkescape2017 to see all our beautiful photos that we have took and share on Instagram. We are briefed and introduced to Traveloka business ideas and their apps too! 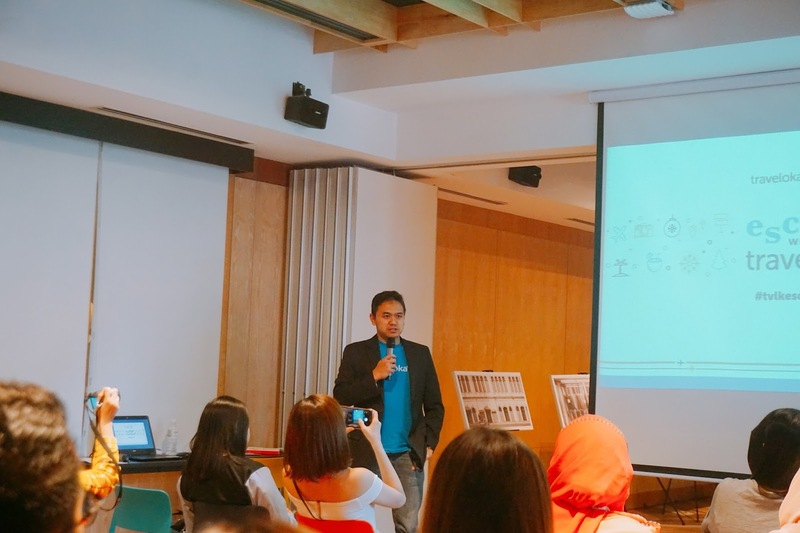 Traveloka is a traveling website that delivers a platform for users to check for flight deals or promo, book flight tickets and makes hotel reservations. They have thousands of hotels and each destination have the summary of various hotels you can find nearby. The search function is fast and super easy. 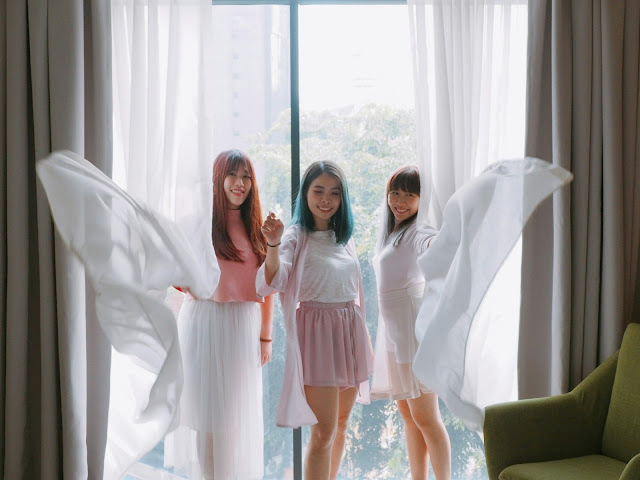 The information on the website provided is no less detailed and precise, not to mention with close-up visuals on the site and customer reviews from other people who have stayed there during their own vacay time. 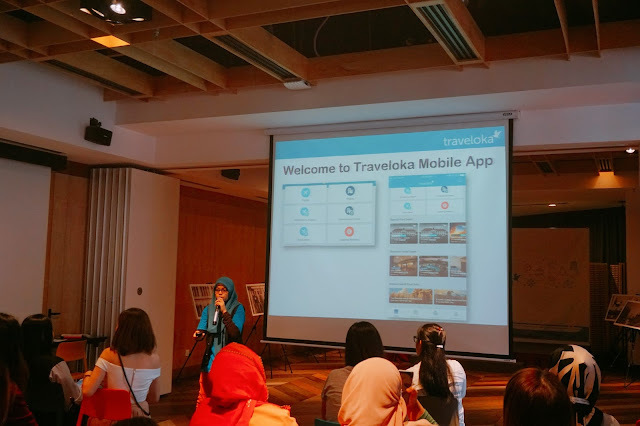 The most exciting part that we can now book our flights and hotel via Traveloka APPs. With everyone now owns a smartphone, we have been using our smartphones frequently. Booking and Checking for latest deals for holiday vacation is the ideal way for the generation now. 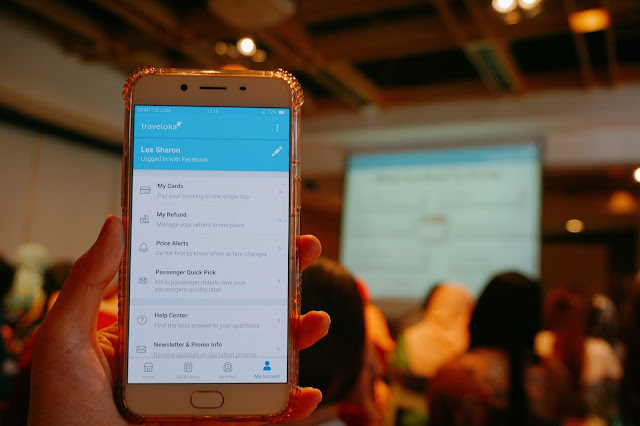 The layout of the Traveloka APP is really simple and easy to navigate around. You can register via the APP for more convenient booking and also able to receive their notification about their latest promotion deals too. 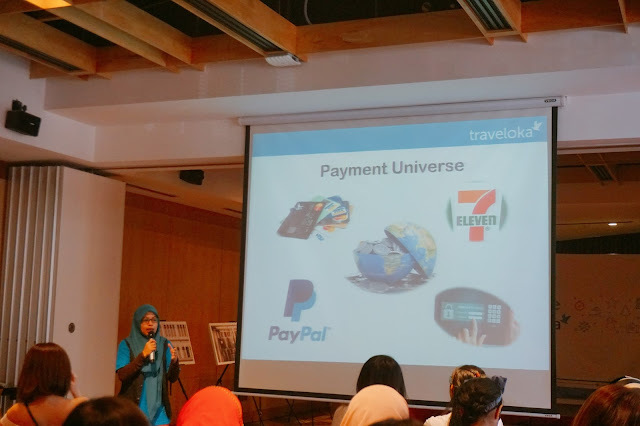 There are some of the features and benefit of using Traveloka to book for your next vacation.They have a lot of payment methods that work across the universe. You can even pay at any 7-11, ATMs and even Paypal that works across every country. 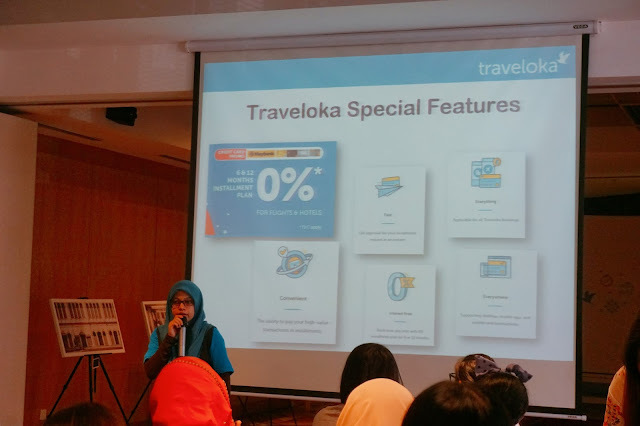 Can you believe it that Traveloka offers 0% interest on their installment plan for Hotel and Flight booking!? 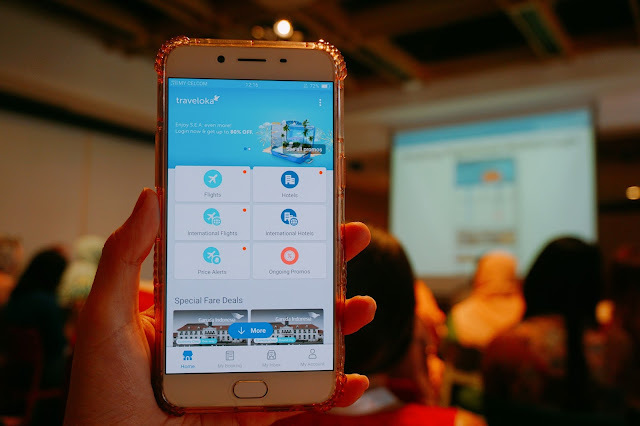 With their launch of their Traveloka App, you are able to save more time, faster booking process, and super convenient for you to keep track on their special deals too. Because there are special deals that are only exclusive for Traveloka users! 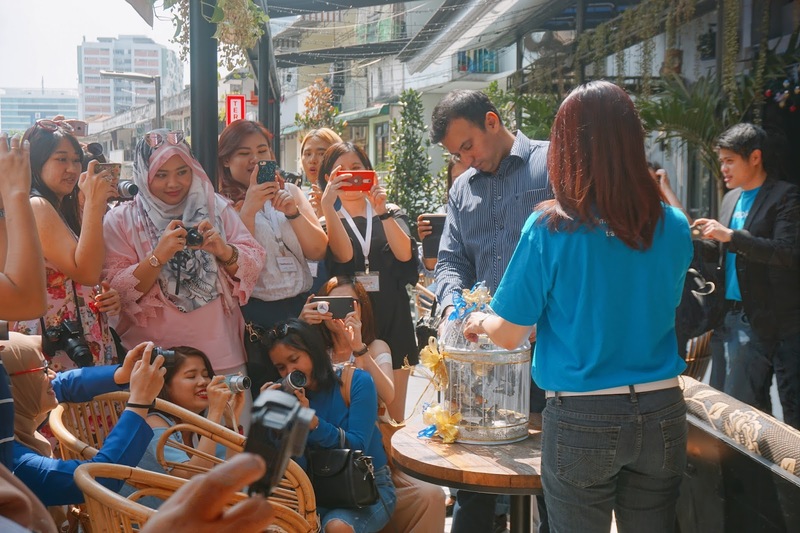 We have our first ever Butterflies releasing ceremony too at KL Journal. It was such an honor to able to be a part of it and to see this wonderful ceremony. 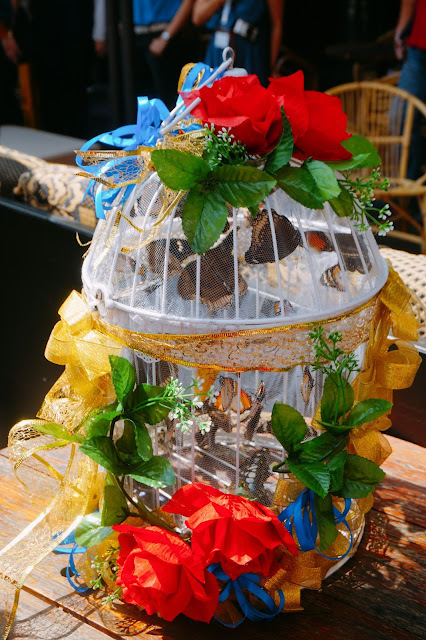 The cage is beautifully decorated too. All butterflies are ready to capture the beautiful moment of the butterflies releasing ceremony. Such a beautiful capture moment with the Butterflies. After the butterflies releasing ceremony, we are separated into 3 groups. We have DIY Bath Bombs, Passport holder, and also a Watercolor class too. 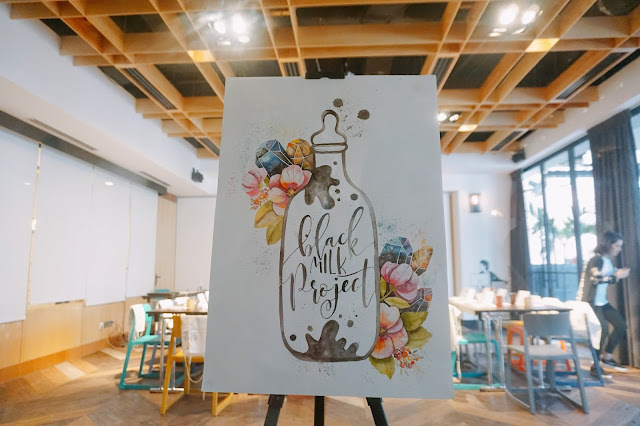 We have Black Milk Project here to teach us our Watercolor drawing class. 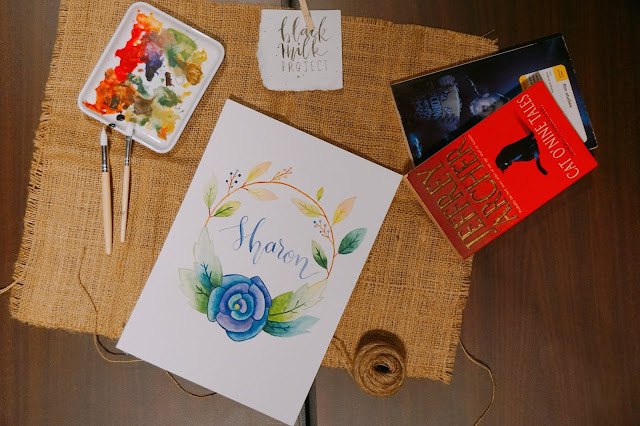 It is my first ever watercolor class, I am no talent for art and drawing. It needs to have a lot of practice and determination too. Our pretty teacher of the day. 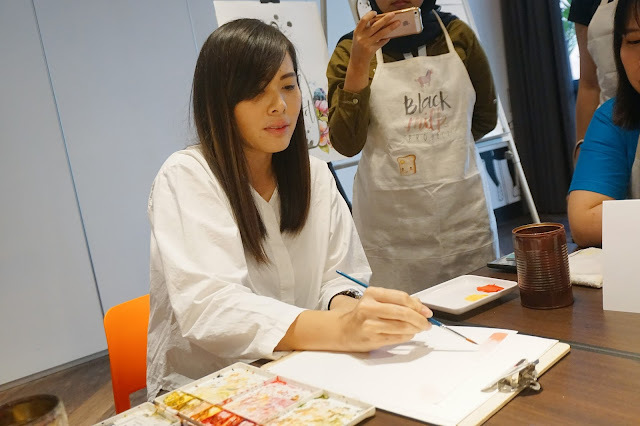 We start from basic watercolor coloring and from there we start our 3 hours class together. Ta dang our work art after 3 hours! I didn't go crazy with too many flowers but stick one big flower and draw flower wreath with leaves and berries. This process of coloring is not easy, you will need a lot of patient and skill. It definitely a tiring process but when you see the complete work of your drawing, it was definitely satisfying! 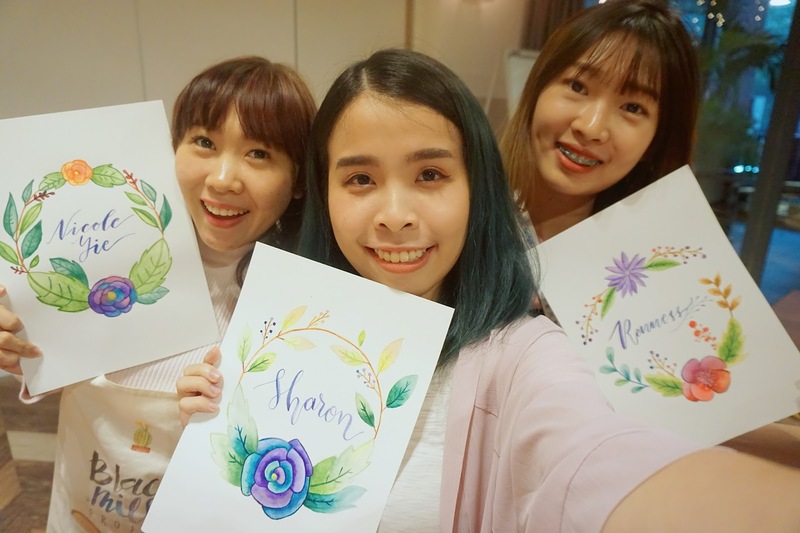 Happy faces of us three when we finish our drawing! Lastly, I will like to shout out to some of the Insta-Worthy corners you should take photos at The KL Journal. Since their bedrooms come with this really big open glass windows, it actually has the pretties bedroom lighting ever! We just can't get over but keep taking photos in the bedroom itself. 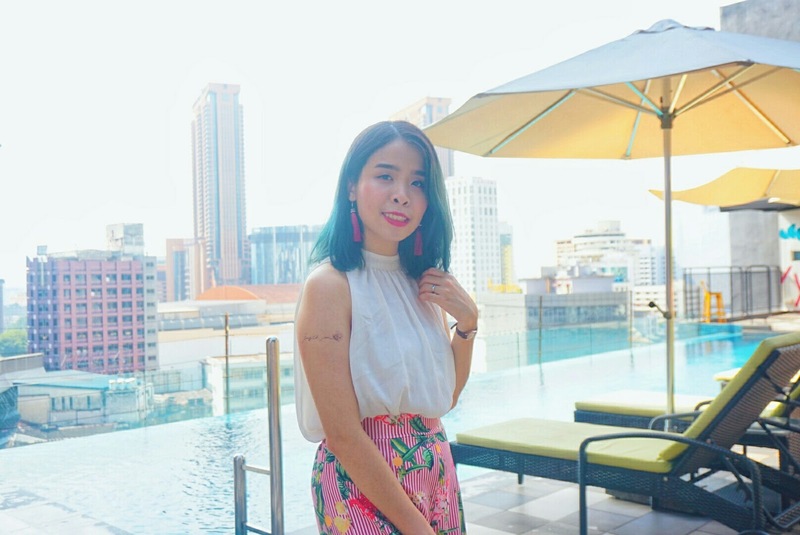 Even standing on the glass window, you can take pretty OOTDs too! 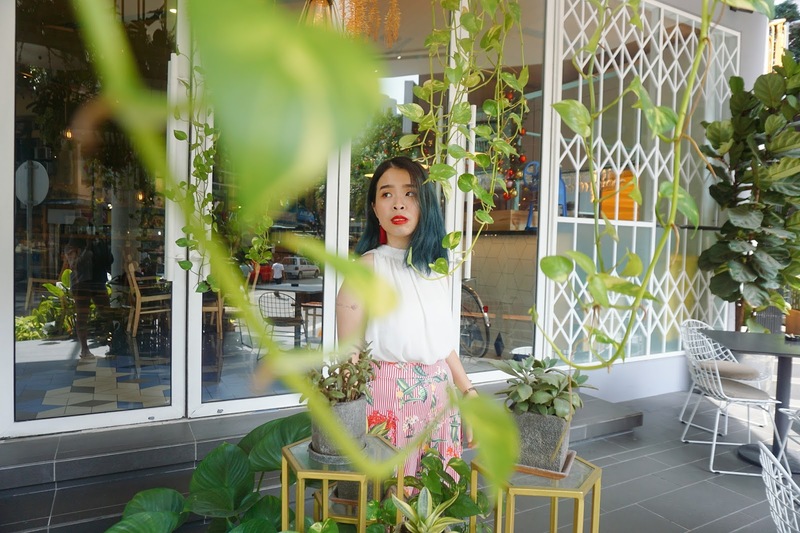 There's this small outdoor dining area where you can also take some really nice blurred shot with the plants around the dining area. 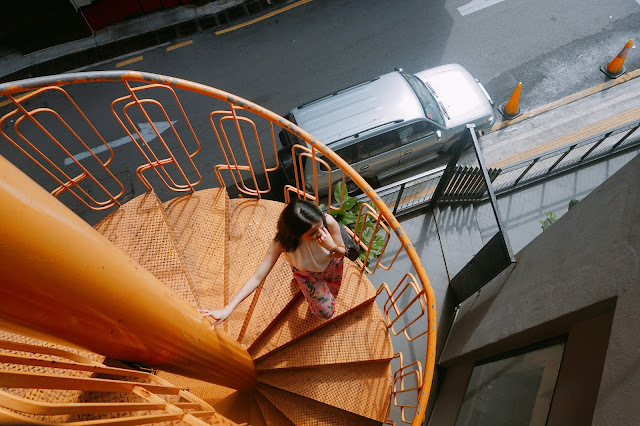 I never encounter such a pretty whirl staircase before! 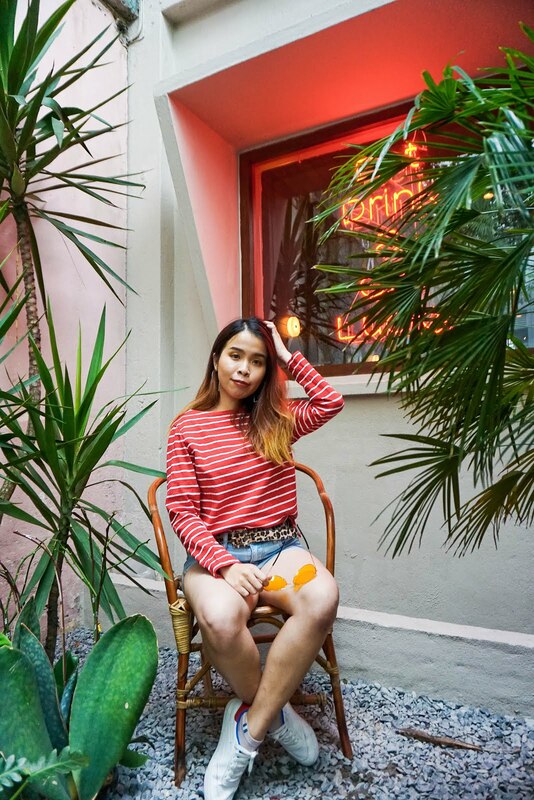 This is also another spot to take your OOTD shots. You don't have to wear something fancy because this corner is worth a thousand shots here! 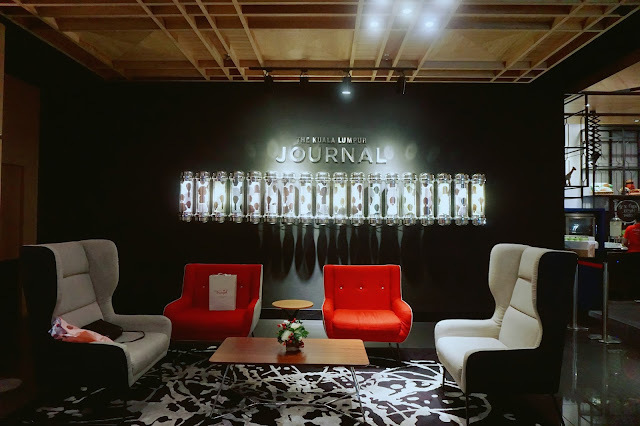 Lastly, I am really having a fun and comfortable stay here at KL Journal! Thanks, KL Journal for accommodating us for our first ever staycation with the Butterflies. 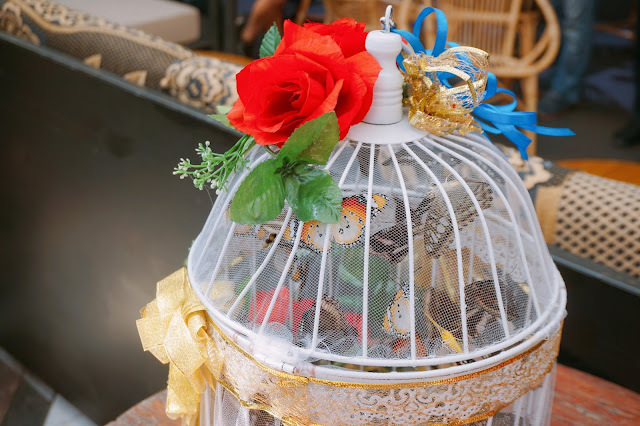 Also The Butterfly Project x Traveloka for planning out the whole staycation and bonding session with all the Butterflies. I appreciate it and definitely has the greatest time ever before 2017 ends. What a weekend you had! I was in KL that weekend as well but had another event to attend. Would have loved to participate in something like this. It was really great weekend with the Butterflies! All your shots are very instagrammable babe! 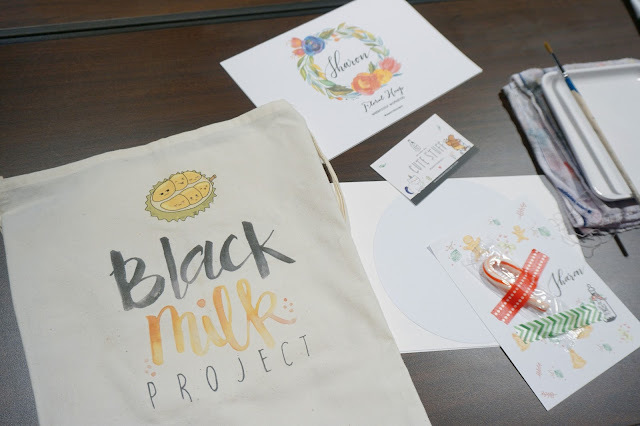 I really like activities that Butterfly Project planned for you girls especially the butterflies releasing & watercolor class. Wish to join next time! Best experience. I was having fun there too. 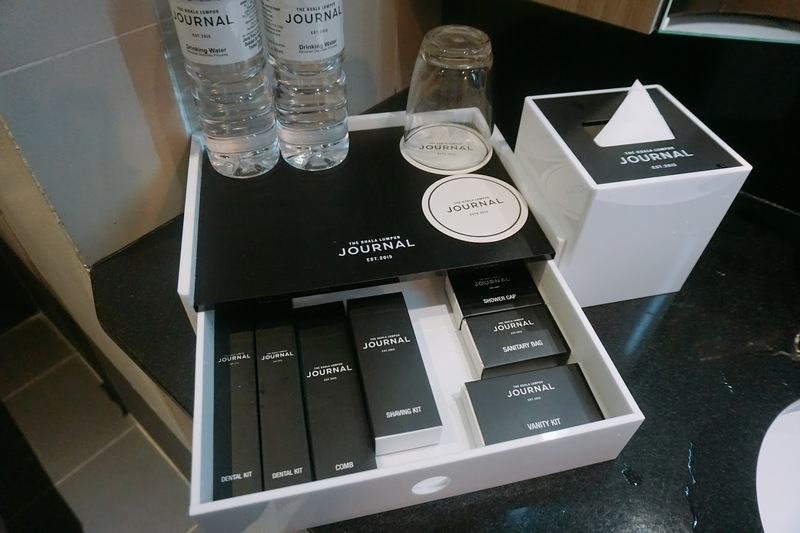 It looks like you really had a great time staying in KL Journal Hotel. The ambiance of that hotel is so fulfilling and perfect to unwind and relaxing. Hope to see you again too! Hey Sharon, thanks for sharing another hotel review, and wow this KL hotel is picturesque! I'll send this to my friends, they are going to KL next week!